Joseph Paxton the Architect of the 1851 Exhibition was born at Milton Bryan; less than five miles away from Mile Tree Road, north east of Leighton Buzzard. Sand was already being extracted from the area when the Chance Brothers set up a quarry to supply the high quality silica sand to their glassworks at Smethwick, Birmingham. The proximity of the canal system gave ready access and wagon loads of sand would be transported some 3 miles to the wharf at nearby Old Linslade on the Grand Junction (now Grand Union) Canal, and then hauled by horse drawn barge on a 4 or 5 full day trip to the glassworks. The Chance Brothers had started their glass manufacture in 1822. In 1834 Robert Chance introduced “Improved Cylinder Sheet Glass” producing even finer and larger glasses, by 1851 employing 1,200 workers at the Smethwick complex, which was reputed to be the largest ‘crown’ and ‘sheet’ glass manufacturer in the country. The repeal of the Excise Act in 1845 relieved the heavy taxation that had been enforced on the amount of glass melted in the glasshouse and encouraged the widespread use of glass in public, domestic and horticultural architecture. Chance Brothers obtained the order to supply the 1851 Exhibition in Hyde Park, London and the huge quantity of glass used - 293,655 thick panes measuring 4ft-6ins x 10ins, weighing 400 tons were transported from Smethwick to London by canal. Glazing was carried out from special trolleys, and was fast: one man managed to fix 108 panes in a single day. Incredibly the whole structure took 2,000 men just six months to build because of its prefabrication. 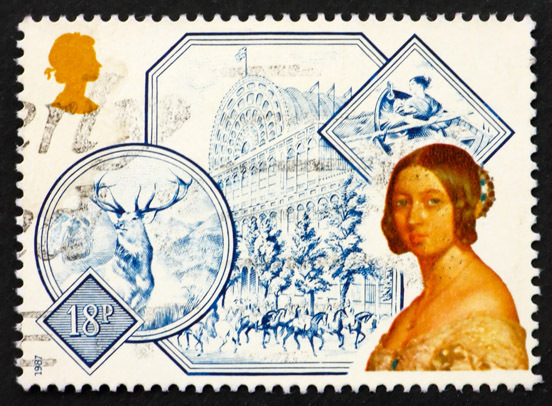 After the 1st May 1851 opening by Queen Victoria, 6million visited in 6 months.